What genre/genres do you write? Erotica with a varied selection of themes but always with a solid back story. These are not 15 page blink and it is all over tales. Tell us a random fact about yourself: I can be very random at times, I can even be writing 2 totally different stories at the same time. If one takes my fancy then that is the one that day or hour. But as facts go, I love watching people but I also love being on my own a lot too. If you like to cook, which dish do you enjoy preparing and cooking yourself? A bit lazy but I do like to cook pasta dishes when I get my mind in the right place. Which of your book characters has a lot of you in them? Quite a lot of them both the male (obviously) but also the female ones. Who so far, has been your favourite character to write? This could be pretty much any one of my leading ladies, and a few of the men as well. But I don’t have a lasting favourite that outshines all the others they are all so powerful in their own right. If you could be any character from any book, who would you be and why? That’s a tough one, most my leading characters are ladies, and I just don’t have the legs to carry that one off. But of the men how about James from J&J a man willing to try things and willing to let his lover try things too. Is there one of your book characters that you have disliked or do you love them all in some way, even the bad guys? You can always tell who I dislike in my books they seem to have a knack of not making it to a happy ending. Yes even in pleasurable reads the off character might not make it to the end. What is your dream car? Something with 2 seats and sporty, yet with a classic shape.. Which celebrity did you have a crush on as a teenager? Damn was I supposed to? Who is your favourite band/singer of all-time? Alas this would all depend upon the mood I am in, I will listen to most things if the mood is right. But Alice Cooper must be up there, one of his tracks made it in to The Librarian. Allow me to introduce myself. 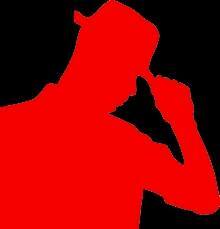 Cole Browning is the name; Author and lover of inspiring your mind and your senses with my words. Drawing together in each of my tales, characters moving freely in three dimensions, in environments you can almost touch. My books are not mere short tales, but journeys you take through time and space. Pleasure World takes you on a journey into space especially designed for couples to fulfil their every fantasy, whilst J&J a Trilogy of Pleasure is a book of adventure, intimacy and ultimately love. My Growing collection of books currently await you here now on Amazon. Enjoyed the world over and published internationally, my reviews speak for themselves. 5* praise of the pleasure my words have given to so many of my readers. 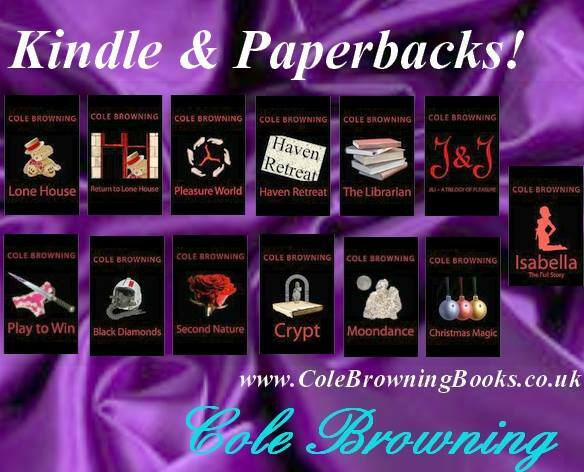 Please do check out Cole Browning on his social media links and pop over to Amazon to view his work. A huge thank you to Cole Browning for being my first Fun Interview participant! That was awesome Cole.A great interview.